Beautiful home sitting on 2.5 acres. 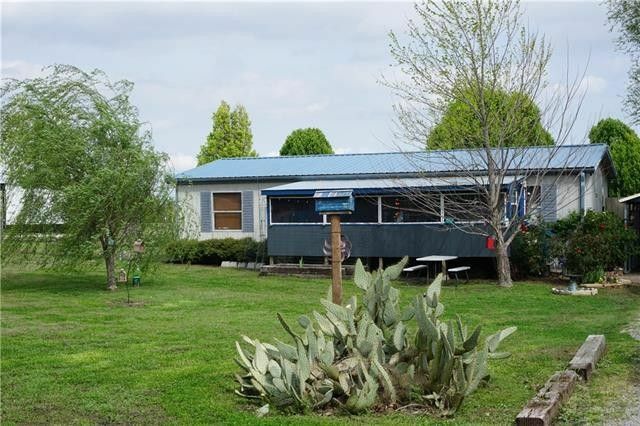 3 bedroom 2 bath, Master has ample space with dual sinks, garden tub and separate shower. You'll love the spacious kitchen and living area for relaxing or entertaining! Outside has 2 storage sheds and a large shop set up as your personal Biker bar or man-lady cave and yes it has its own bar and small stage. The shop has it 's own ac-heat sytem, electric and water possibilities are endless with this space!Several fruit trees on property and to keep you safe the property has a 6x8 underground storm shelter! Come see it today I'm sure it won't last long! More pictures coming soon! Directions: From Hwy 75 take 1417 S, at next light go left onto Hwy 11, turn right onto E Ida Rd approx. 5 miles down the go left onto Hayes Rd follow it to dead end then go right onto Old Ida Rd. home will be down on your left.